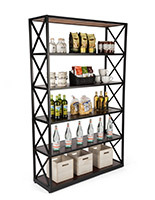 This 5-tier industrial rustic shelving unit beautifully blends paulownia wood with a durable steel frame to achieve a bohemian modern feel. 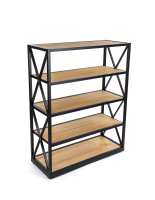 Clean lines and open backed tiers can be welcoming in both vintage retail environments or contemporary boutiques. 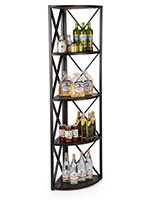 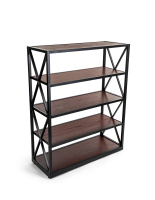 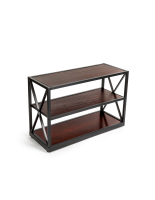 The industrial rustic shelving unit is ideal for holding folded apparel, handbags, or other trendy merchandise. 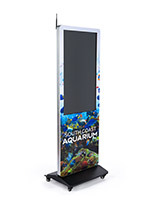 Floor levelers ensure that the vintage display is sturdy and safe in your retail store or boutique. 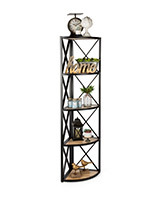 This bohemian modern display is sure to put the finishing touch on any contemporary space. 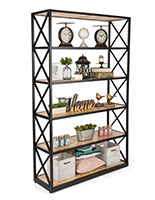 The industrial rustic shelving will make an eye-catching fixture in your home or business! 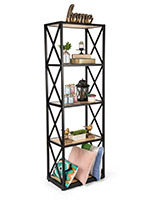 26.0" x 79.5" x 15.8"
23.5" x 1.0" x 13.8"